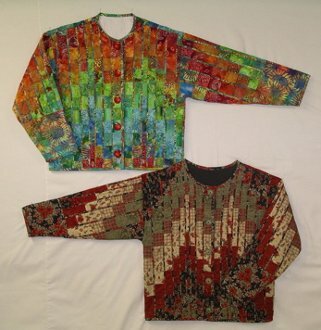 This jacket is sweatshirt based and uses the "stitch and flip" method of attaching bargello strips to the sweatshirt. You quilt the jacket as you go, so no additional quilting is needed except on the sleeve cuffs. Detailed fitting instructions included for a great fit no matter what your body shape might be.